This is a sponsored post with Lake Placid and Mums the Word Network. All opinions are my own. After the over 9 feet of snow that Boston had to deal with last winter, my version of the perfect snow day changed considerably. I used to think that getting 2+ feet of snow and being stuck at home with the family would be the perfect snow day. Then, it happened, again, and again, and again, and you don't want 6+ feet of snow on the ground at once, especially if you have to shovel it yourself. 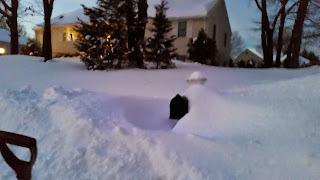 At least we had a snow blower to help last year. Otherwise I don't think we would have made it through the winter. I did have to replace the shear pin after the Sunday newspaper got caught in the system. Didn't realize how easy it would be to replace until after the season but we're ready for the new winter, and then we see 70 degree weather for Christmas eve. Care to win an American Express gift card? If not, enter anyways and send my way if you were to win. You have through 2/8 to enter. Open to US residents only. Good luck. If you haven't run your share of Two Rivers Coffee lately, here's your chance. 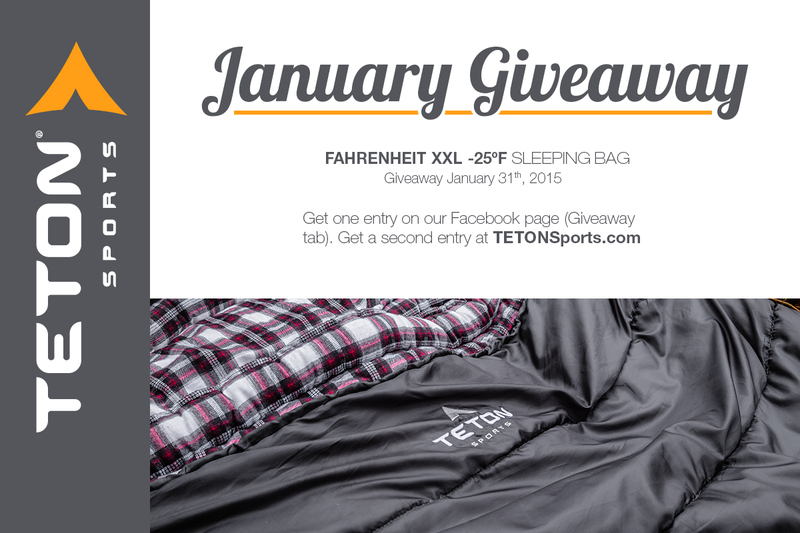 Two winners here and the giveaway runs through 1/22. Open to US residents only. Good luck. I ran across a giveaway for $500 cash that I thought I would share. 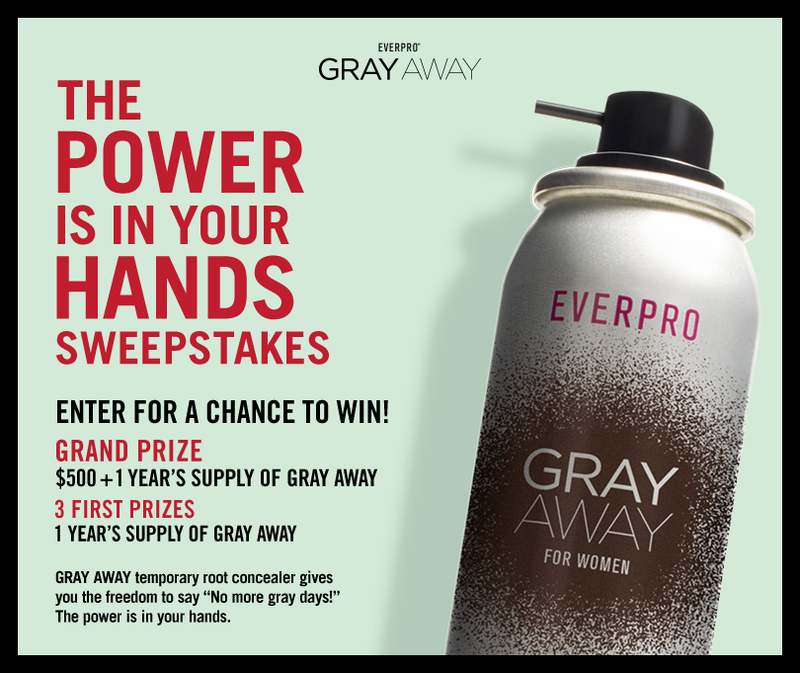 There are prizes for a year's supply of Gray Away (for Women), but I'm just shooting for the cash prize. You should, too. You have through 1/15/16 to enter. 21+ to enter. US only, except Hawaii. 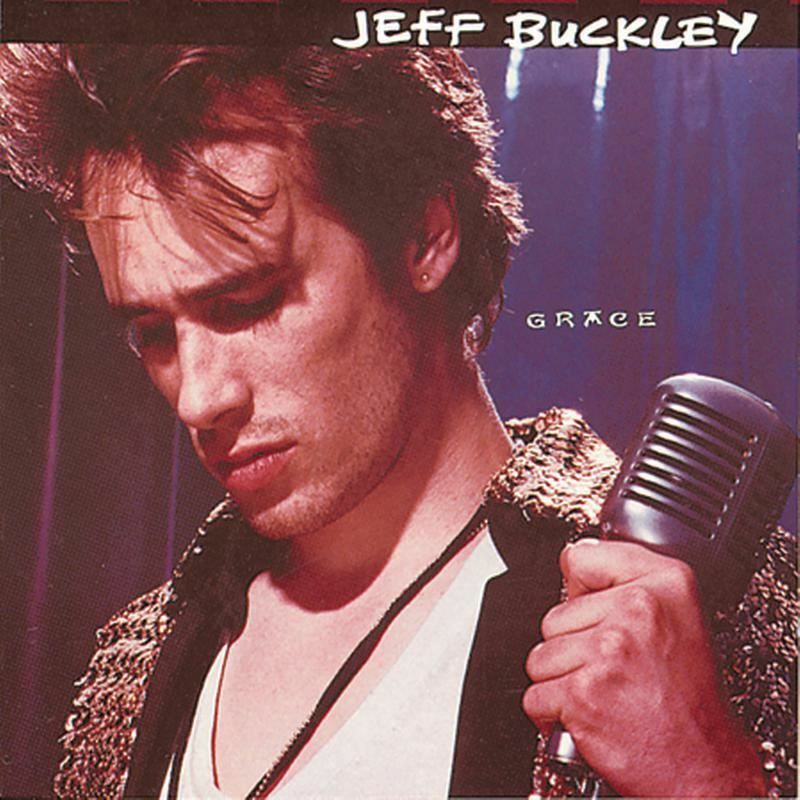 Google Play has another free MP3 digital album download, this time Grace by Jeff Buckley. I seem to miss some of these Google Play freebies. It is like they have a weekly / monthly one but I only hear about every other one or so. How are you finding out about these? Jeff died at the age of 30 and is considered by Rolling Stone Magazine to be one of the 100 greatest singers of all time. Grace is his one and only solo album. Here's a giveaway that I'm sponsoring as a Thank You & Happy New Year to all my wonderful readers! 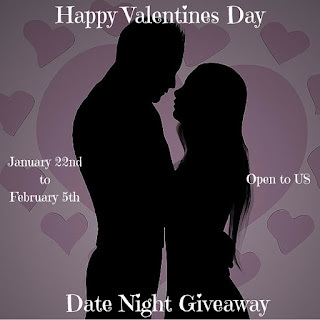 Two lucky winners will each receive a $25 Gift Card to shoptiques.com!! For some reason, as I'm creating this article, the Ramones song I Want to be Sedated started running through my head. Great song to cycle to. Might have to add it to my workout play list. US residents have through 1/18 to enter. You only have to be 13+ to win here. Good luck. Cycling, running, hiking and backpacking are all very popular and accessible forms of physical exercise which the whole family can enjoy. 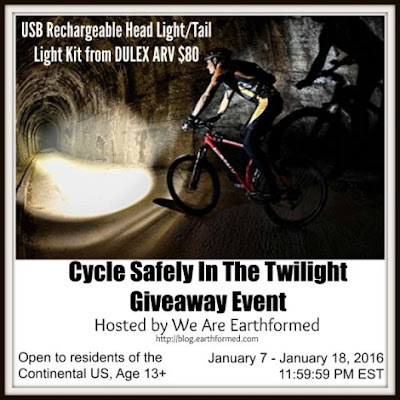 Enter to win a Dulex Head Lamp Set & Tail/Safety Light which can be used on your bike, helmet, backpack or other outdoor gear to give you a lamp to your pathway. Into extreme weather camping? Teton Sports is giving away a Fahrenheit XXL -25° sleeping bag. While the graphic shows 2015 in date, I have to assume they just screwed that up as they do a giveaway every month. US entries only. Good luck. I'm a bit of a Star Wars fan. Having grown up with the original movie/series, I was really happy when the newest installment to the series came out. 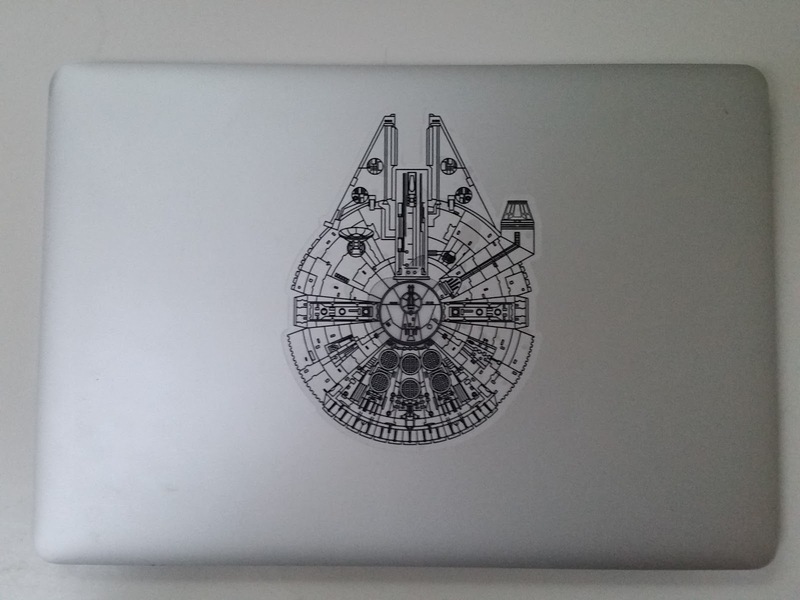 I recently received a sticker of the Millennium Falcon for my laptop to review. 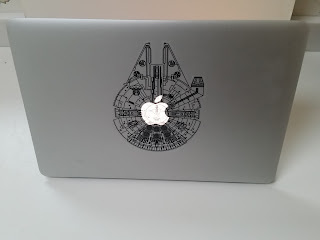 It is a great decoration to have on your machine if you're a fan of the movie. The vinyl sticker measures 7" tall x 5" wide and comes from Holinox for $6.95 from Amazon. It comes with a backing that you just peel off and then apply the sticker to your laptop, window, mirror, or whatever. You have to line it up yourself, so if it isn't quite straight up and down, it is your own fault. I think I did a good enough job there. Application is easy, but getting the sticker off the backing took a little work to find an end that would start to peel. Once you get it started, you're fine. Get it right the first time as once you press down it won't come off easily. My one complaint about the sticker is that when I open the laptop, the Apple logo shines through. I toyed with putting sticker on side of cover versus right in middle but the middle really looked that much better. If you're a fan of Star Wars or know someone who is, this is something to be loved for sure at a surprisingly low price for something I have to believe is licensed. Sign up for i-Say and take a 25 minute survey and you'll immediately get a $5 Amazon gift card upon completion. If you start the survey and can't complete it because you don't match their diversity needs, you'll be entered to win a $500 gift card. i-Say is an online survey rewards community powered by Ipsos, a leading global market research company. We have another giveaway here coming from Michigan Saving and More. This time with over $400 worth of prizes (spread across two prizes packs). Continental US residents have through the end of January to enter. Good luck. Are you sweet? Do you want to win something sweet? You can't get any sweeter than this where you can win a sweetener. You have through 1/20 to enter to win. Don't miss out. US entrants only. Good luck. In celebration of being bold, enter NOW for your chance to WIN the $50,000 Grand Prize. 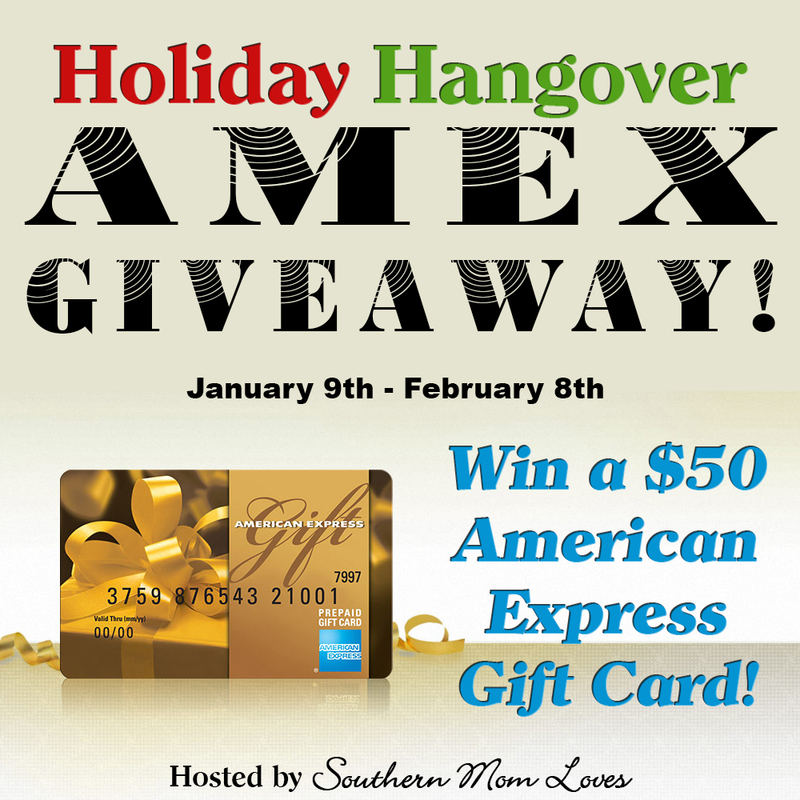 They're ALSO giving away a total of fifty $50 Visa® gift cards, instantly! Ready for action? US entrants only. Enter through 2/29/16. America Runs on Dunkin', do you? Here's your chance to win some free coffee, donuts, or sandwiches from them. You have through 1/14 to enter. Open to US residents only. Good luck. Do you want to win some collagen skincare products from Neocell? If you answer no, you can leave no. For most of the readers here, I suspect the answer is yes. You have through 1/19 to enter below to win. Open to US residents only. Good luck. 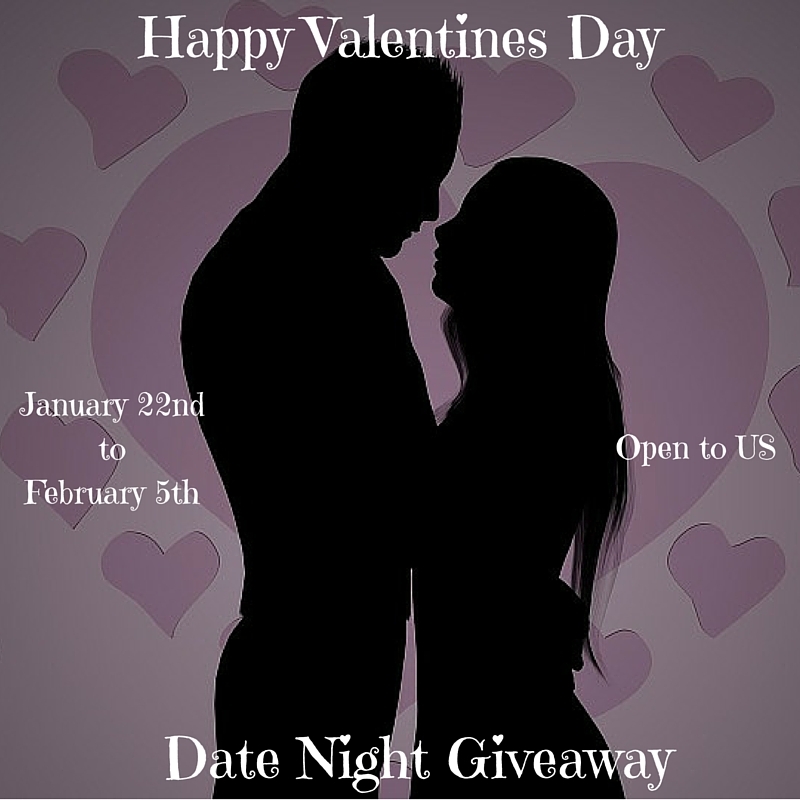 With Christmas and New Years over, the next big holiday for giveaways is Valentine's Day. Gimbal's Fine Candies is hosting their "Baking with Love" Sweepstakes where one lucky winner will get a Gimbal’s Valentine’s Day baking set packed with Cherry Lovers candy. The Grand Prize winner will receive 10 pounds of Cherry Lovers heart shaped candies, a gorgeous Valentine retro mixing bowl, an apron & baking mitt, heart shaped baking molds, and many other sweet items to create delicious treats to share and enjoy during Valentine’s Day. Contest runs through 1/31. 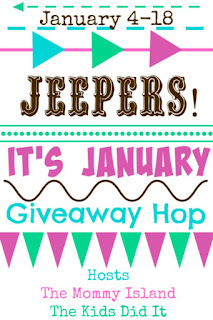 Here's another stop on the Jeepers its January Giveaway Hop. 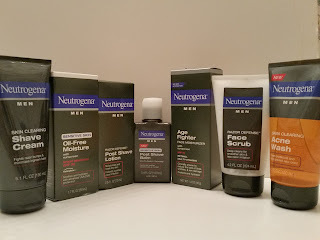 Besides our giveaway for some Neutrogena Men's Skincare, you can win some Two Rivers Coffee here. Both giveaways end on 1/18. Good luck. As the new year begins it is time for us to look forward to all the possibilities that it holds. Every year I make resolutions with the best of intentions and manage to stick to it until the first obstacle comes my way. Remember no matter how many times you slip throughout the year that there's still time as the year isn't over until we ring in the next year. With my not so stellar record of keeping past resolutions I've decided to add a new one to my usual ones... To drink more coffee! If you've also made this resolution I'd like to help you keep it. Enter the giveaway below for your chance to win one of two awesome coffee variety boxes from Two Rivers Coffee LLC. 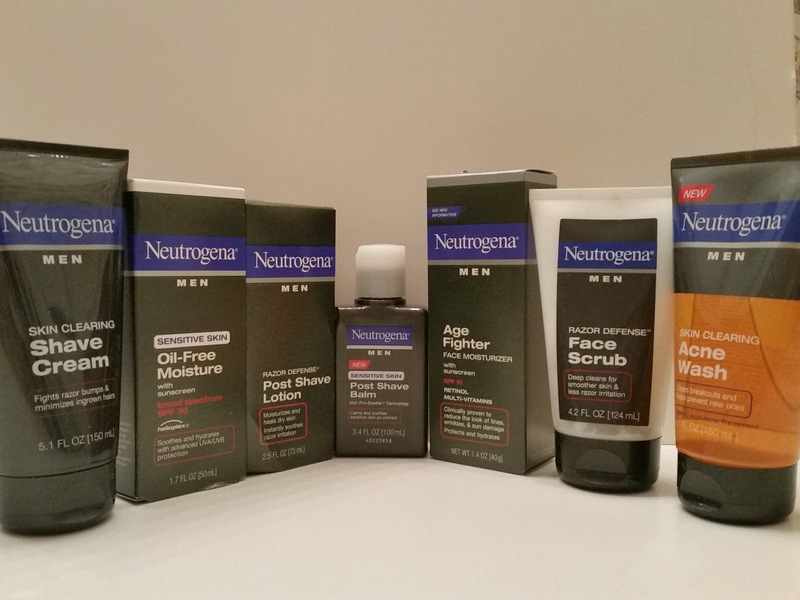 Neutrogena Giveaway / JEEPERS! It’s January Blog Hop! 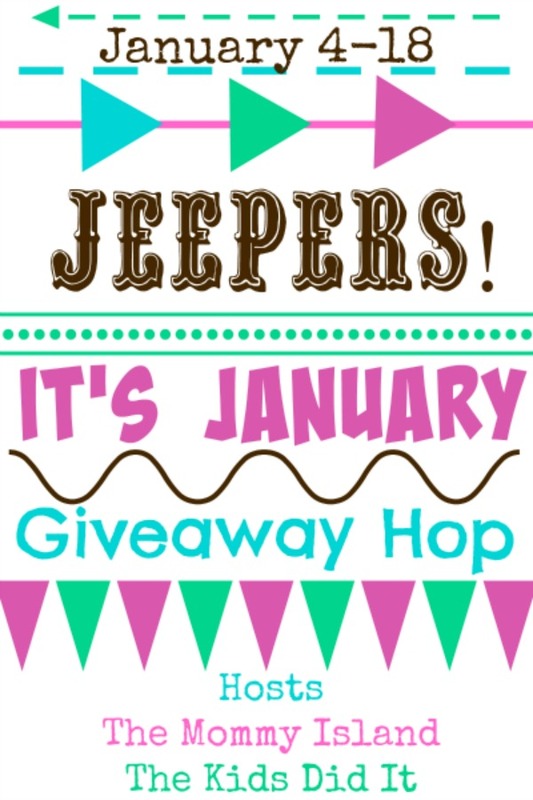 Welcome to our first Giveaway Hop of 2016. We have close to 100 bloggers participating in this one, hosted by The Kids Did It & The Mommy Island. There is no specific theme to the prizes in the giveaway, just that the individual blogger prizes are each worth at least $10. Sign up for the FaveCafts free eNewsletter and receive the free 17 Flower Craft Ideas: How to Make Paper Flowers, Easy Fabric Flowers and More eBook. Free eBook: Flowers have many uses. Guys use them to apologize. Girls use them to decorate. They add color and fragrance to any room. Flowers, like diamonds, can be considered a girl’s best friend. With this free eBook, 17 Flower Craft Ideas: How to Make Paper Flowers, Easy Fabric Flowers and More, you’ll be able to create flowers that will last you forever. There are flowers you can wear as well as ones to decorate your house with. Plus, these flower crafts won’t wilt and die on you, and there is no need to water them. You don’t have to wait for spring or for your husband to buy you flowers to enjoy their beauty. These projects and patterns let you create your own flowers. Let them bloom in your hands. You’ll love all the different techniques to create flowers in this awesome eBook. These crafts are perfect for a variety of different situations: Mother’s Day, a friend’s birthday, Valentine’s Day…the list goes on. Get creative with making these fabric and paper flowers.